Throughout the year, we take up special offerings to support local and national missions and missionaries. If you would like to learn more about these or give, please click on the pictures. America for Christ is an offering that supports the American Baptist Home Mission Societies (ABHMS). ABHMS ministers as the caring heart, serving hands, going feet and prophetic voice of Jesus Christ—establishing ministries of discipleship, community and justice along with equipping and networking followers of Jesus to transform persons, congregations, neighborhoods, and cultures throughout the United States and Puerto Rico. The America for Christ offering is generally collected in March each year. The One Great Hour Of Sharing offering is generally collected in May each year. The World Mission Offering (WMO) is a vital source of support for the entire work of the American Baptist organization, International Ministries (IM). 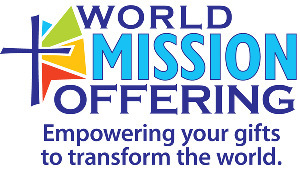 WMO giving also supports current missionaries and new missionary recruitment efforts (15 new global personnel in 2013). Contributions to WMO will be used to glorify God in all the earth by crossing cultural boundaries to help people to come to faith in Jesus, grow in their relationship with God and change their worlds through the power of the Spirit. Although, individuals and churches may give to the WMO year-round, our church typically collects the WMO in October each year. This offering is collected to support a local ministry, Bridgehaven Pregnancy Support Center. The funds collected for this go to help the ministry offer options to individuals who find themselves pregnant, offer post abortion counseling, parenting classes, ultrasounds and much more. 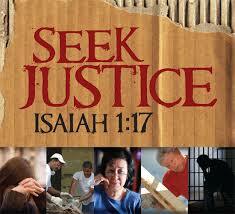 In addition to the ministry of Bridgehaven, it supports their food pantry and 2nd Hand store, Treasures. This offering is typically taken in January.